April 29, 2019, 17:45 - 19:30: Get to know Toastmasters! Do you want to become a confident public speaker and strong leader? If so, Toastmasters is the place for you. You’ll find a supportive learn-by-doing environment that allows you to achieve your goals at your own pace. We invite you to visit us on April 29, 2019, 17:45 - 19:30. No obligations — we just would like to explain the idea behind Toastmasters and show how you can improve your public speaking skills. Join us as a guest at our regular club meeting held on site at BASF in Ludwigshafen. 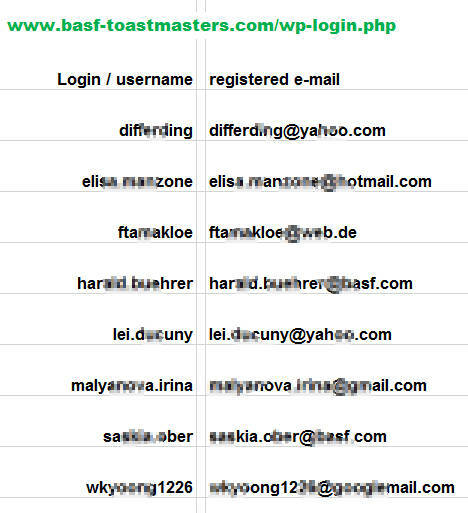 A lot of our members are working at BASF, nevertheless BASF Toastmasters is open to everyone and has a number of external members. Please contact us in case you visit us for the very first time!